Special to the Daily Michelle Joy Prater of Jackson, Wyo. 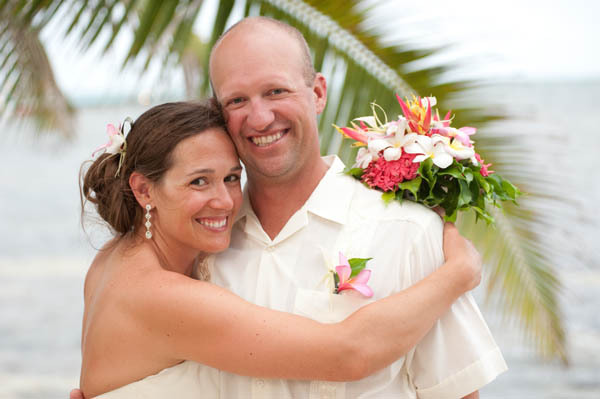 and Cale Martin VanVelkinburgh of Frisco were married recently in Belize. The couple will make their home in Bozeman, Mont. where Cale works at the high school. Congrats! Still not buying it. Is there, we wonder, a scene where Velvet Brown (Liz Taylor) is panicked because it’s race day and her jodhpurs are wrinkled and an amazingly helpful dry cleaning guy comes to her rescue? Like we said, we haven’t seen the movie, but we’d be amazed if the plot line contains anything like this. Or maybe the horse’s tail is all bushy and unkempt, again on race day, and the heroic dry-cleaner guy shows up with some special chemicals to straighten things out? Mystery un-solved, so far as we’re concerned. We’re still waiting to hear from the National Velvet folks: Help us out here! Random note: Does anyone out there have one of those Kindle devices or an iPad or any other kind of e-reader they read stuff on? We’re curious to know what folks think of these and if they miss the soft rustling of pages as they thumb through the pages of a novel or newspaper. As these things drop in price, we keep wondering if maybe, just maybe, we’ll give one at try, and no doubt there will be a lot of them under the tree come Christmastime. Anyway, shoot us a note at summitup@summitdaily.com. We be curious.